This delightfully charming traditional style ranch invites the outdoors in. Covered Porch – With its understated columns and brick accents, this porch welcomes you into this charming home. Living Room – Columns at each of its entryways give it an added touch of elegance. Kitchen/Family Room – The tidy kitchen has a large counter-top eating area. The space is also open to the family room, allowing for interaction between the cook and the rest of the family. Master Suite -This space features its own bath with dual vanity. Providing comfort and privacy. Rear Deck - Spanning the length of the house this wonderful outdoor space certainly connects the homeowners with nature. The Family Room, as well as, the two secondary bedrooms, feature sliding glass doors leading out to the deck. Family Room – Large windows and a set of sliding glass doors makes this room bright and inviting. 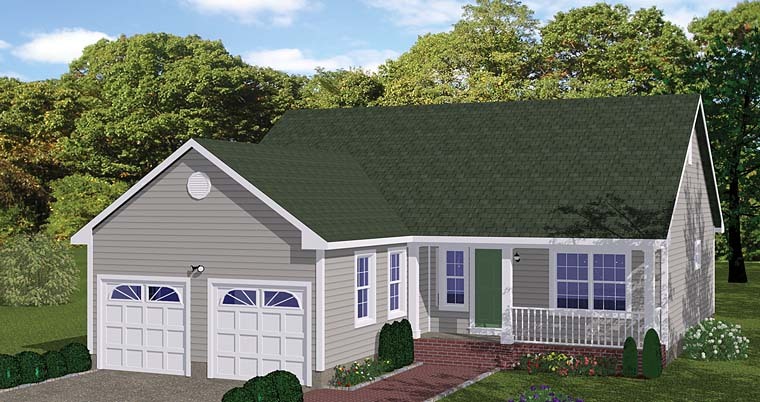 With simple and elegant styling this home is easy to build. The home can also be expanded to meet the needs of the ever-changing family dynamic. Question: Are the columns in this design structural or decorative? 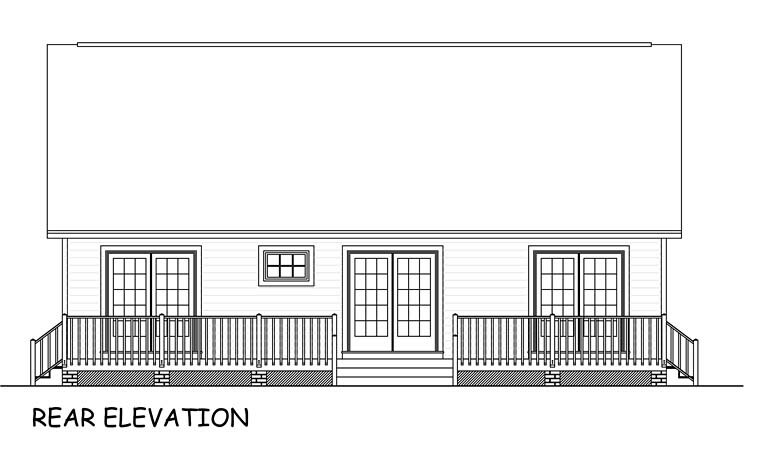 Answer: Good Afternoon - The exterior columns on the porch are structural. The interior columns at the Living Room / Foyer are not. Thank You.